A mother, a daughter and an enigmatic stranger in a critical battle for the truth. Em – seventy four and suffering from dementia – wanders out in a snow-storm, looking for her best plates. Handsome stranger, Jay, finds her and takes her home. It turns out her husband’s dead, she’s confused her only child, Cynthia, with ‘the help’ and she’s convinced someone’s hiding her best things. As they wait for his breakdown people, Jay’s persistent questions provoke Em’s buried memories: a shabby bedsit, the big freeze of 1963, a loving husband, a lost brother, a longed for baby – and a disastrous quarrel that she’s desperate to put right. Then Cynthia comes home and is instantly smitten by handsome Jay. While Em takes a nap, Cyn reveals memories of her own: an unhappy childhood, a cold and distant mother, and her parents permanently estranged. It turns out she’s been hiding Em’s things, in a desperate bid to keep her Mum in a state of loving forgetfulness. For both women, Jay’s the easiest person in the world to talk to. But the breakdown people are an awful long time coming, and by evening his continued presence raises questions that need answers. Why is Cynthia’s version of the past so different to her Mum’s? What happened back in 1963 that Em can’t bear to remember? Most important, who is Jay, and what does he want? It was like she was shut in a box with glass walls. And still you felt stuff coming off her, like heat. Not heat. Like cold, like ice, burning. Keeping Mum was part of Write Now 2, and was directed by Rebecca Manson Jones. Judith Bryan is a London born novelist, short-story writer and playwright. Her novel Bernard and the Cloth Monkey won the 1997 Saga Prize (Flamingo/HarperCollins 1998). In 1999, she received a London Arts Board Award for her second novel The Bluff. 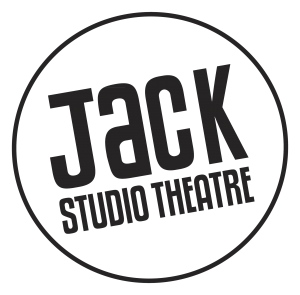 Her play A Cold Snap was placed second in the 2008 Alfred Fagon Award, and was subsequently produced in 2011 as Keeping Mum, at the Brockley Jack Studio Theatre as part of Write Now 2. Judith’s stories, non-fiction and essays have been published by Penguin, Palgrave Macmillan and Peepal Tree, among others. She lectures in Creative Writing at Roehampton University, where she also convenes the MA programme. She completed two of the Royal Court’s writing programmes, Critical Mass and Invitation Group. She is a graduate of the MA Writing for Performance, Goldsmith’s College, University of London. She is currently working on a speculative historical novel, God of Thunder, whilst re-drafting a number of plays. Read an extract from Keeping Mum by Judith Bryan here. All rights reserved and the extract is copyrighted. Please note all scenes are included for Festival purposes only. The permission of the author must be sought if any extract is to be used for any purposes. The extracts are not to be downloaded, copied or performed without permission from the author(s).